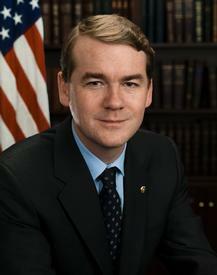 A recently-released Quinnipiac Poll does not paint a pretty picture for incumbent liberal U.S. Sen. Michael Bennet. According to the poll of 1,049 Colorado voters, Bennet’s job approval is just 39%, and just 32% think he deserves to be re-elected. This poll was conducted February 5 -15, 2015, and has a margin of error of +/-3 percentage points. These numbers are starting to look a little like former U.S. Sen. Mark Udall’s numbers before the outset of his ill-fated campaign. To be clear, the comparison here is Udall in 2013 = Bennet in 2015 – see the parallels? To put this in context, the first numbers in June 2013 (no Colorado polling was available from Quinnipiac prior to June 2013) we had on Udall’s “job approval” and “deserves re-elect” showed that 45% approved of the job he was doing as a Senator, and 40% thought he deserved to be re-elected. We all know how Udall’s race turned out and Bennet is six points and eight points, respectively behind the curve. It’s likely that Bennet feels the same way this week. With low enthusiasm within his own party, it may be difficult for Bennet to push back against what is going to be an energized Republican electorate, eager to put the Obama administration and anything affiliated with it, in the rear view mirror.